Mystery boxes are what make up the Mystery Box shop, hosted between the keys and the Alchemist in the Nexus by Bill the Wizard (and formerly, his companion Ted, who took up the space the Alchemist used to be and looks the same as Bill except he is colored green). Mystery boxes offer a variety of equipment, consumables, skins, cloths, and miscellaneous items for a player to buy. Purchasing one will randomly give you an item from the chosen box. 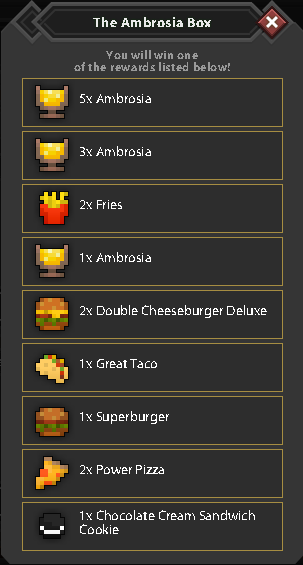 In some boxes you can receive more than one item per purchase. Once purchased, the item(s) won will be sent to your Vault’s Gift Chest. Also keep in mind that the items displayed on the top of a particular box have the least chance of dropping, unless stated otherwise. For current Mystery Boxes, check this page for details. 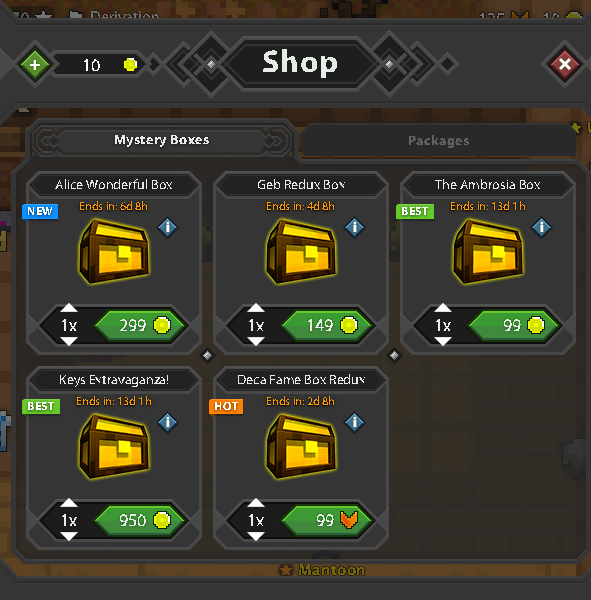 Below you’ll see an example of what is in the ever-changing Mystery Box Shop, including the boxes, and what is in one of them. 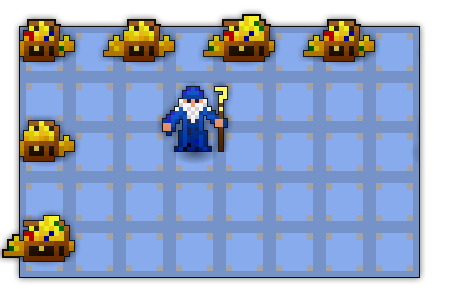 These items are bought with realm gold, but every once in a while Deca will offer a box for fame. Free items or item packs (such as the ample space pack) can be obtained by accessing the “Packages” tab in the Shop. The Mystery Box Shop and the Alchemist sometimes sell equipment and keys before they are available normally in the Realm, and offer exclusive cosmetic items.